In 2016, The Jack Daniel Distillery celebrated 150 years, in celebration of that milestone they released both a bottle that was easy to find, and a more collectible bottle, a 1 Liter bottle with a decorative black case. This post covers the more collectible bottle and box, and a future post will document the 750mL bottle. TO THIS DAY, WE HONOR MR. JACK’S FOUNDING WORDS, AND IN CELEBRATION OF THE 150TH ANNIVERSARY OF THE JACK DANIEL DISTILLERY WE HAVE CRAFTED THIS SPECIAL, LIMITED EDITION TENNESSEE WHISKEY. THIS 150TH ANNIVERSARY WHISKEY BRINGS TOGETHER THE BEST OF BOTH OUR DISTILLER’S AND COOPERS ‘ ART, AND WAS PERFECTLY MATURED BY MOTHER NATURE IN A BARREHOUSE HIGH ON COY HILL. BARRELED AND BOTTLED AT 100 PROOF; TAKE ONE SIP AND WE’RE SURE YOU’LL AGREE. THIS IS THE BEST WAY TO CELEBRATE. THIS SPECIAL JACK DANIEL’S TENNESSEE WHISKEY BRINGS TOGETHER THE BEST OF BOTH OUR DISTILLER’S AND COOPERS ‘ ART. FIRST, OUR BARREL-MAKERS ‘SLOW-TOASTED’ THESE BARRELS TO BRING OUT THE RICH FLAVORS AND AROMAS OF THE WOOD, CREATING A CONTEMPORARY EXPRESSION OF AN 1866 BARREL CHAR. THEN, OUR MASTER DISTILLER BARRELED AND FINALLY BOTTLED THIS LIMITED EDITION JACK DANIEL’S TENNESSEE WHISKEY AT 100 PROOF, SO THAT ALL OF THE RICH FALVOR FINDS ITS WAY TO YOUR GLASS. THE RESULT IS A DELICIOUS, COMPLEX WHISKEY; A TASTE OF HISTORY IN THE MAKING. The back of the bottle is blank, with the other-side of the bottle carrying a label with the standard government warning and the limited bottle number. As of March 2019, you can find this bottle on a few websites, for around $150. In September of 2017 Jack Daniel’s released their standard bottle of Jack Daniel’s Tennessee Rye, their 70% rash mash bill. This is a more affordable version of the Rye from Jack Daniel’s than the Single Barrel Rye released in 2016. Jack Daniel’s Tennessee Rye brings together two classics – rye’s distinctive flavor, drawn from our unique 70% rye grain bill, and Jack’s time-honored charcoal mellowing method. What emerges is a spicy whiskey that’s sippin’ smooth. Pictured in the photos here are both a 750ml and 1L bottle, only really differing in size and spacing of the content on the labels. These bottles can be found worldwide. This post is coming 6 months (maybe more?) too late, but at least it is coming. 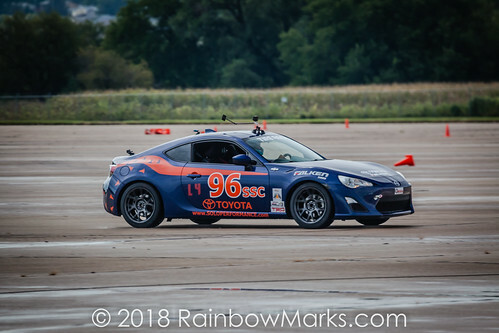 The 2018 ProSolo Finale and Solo National Championships was a week of ups and downs for the team. The results were mixed across the board in terms of performance with some highlights and some down times as well. Our bottle was bottled 2/25/2016 from barrel no. 16-1397, Rick No. L-4. Single Barrel Rye can be found on store shelves for $50 (1/13/2019). Following up the December 2012 release of the Unaged Rye, in April 2014 Jack Daniel’s released their Rested Tennessee Rye. This bottle was the second in what has become 3 releases of their Rye product. Jack Daniel’s Tennessee Rye is Master Distiller Jeff Arnett’s attempt at a new mash bill, this one consisting of 70 percent rye, 18 percent corn and 12 percent malted barley. “This continues my exploration into the intriguing flavor drawn from premium rye grain. As our rye whiskey has rested in the barrelhouse, the spice character from the rye grain remains and the barrels have begun to assert their toasted oak and vanilla notes into the rye whiskey. Though not quite mature, the rested rye whiskey offers a hint of full potential for our Tennessee Rye. We hope you will enjoy this very limited release. On the back of the neck, my bottle reads: Unique Bottle No 02204. Jack Daniel’s Rested Tennessee Rye was released in April 2014 at the White Rabbit Bottle Shop and limited around the country in select markets. Availability as of January 9, 2018 appears to be limited. Online you can find it at Total Wine for $54, assuming they will ship to your state. For standard web hosting be sure to check out AppliedI.Net.